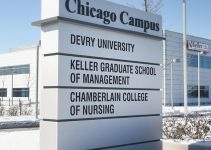 Just returned from Chicago where I spoke at the SharePoint / Could Saturday Chicago Suburbs event. I love going to Chicago. It takes me 2.5 hours to get to Chicago and another 2.5 hours to get to the hotel. This year I spoke on the cloud side of the event. I still do a lot of SharePoint but I am also doing a lot of data including business intelligence, machine learning and data mining. This seemed like a great opportunity to speak on Azure Machine Learning. The cloud event started with my Gentle Introduction to Machine Learning using Azure Machine Learning session. 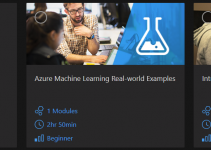 This session explains the very basics of machine learning with a demonstration of a machine learning experiment using no-code in Azure ML. This session went well and the users had a lot of great questions. I had come loaded with two laptops. I was planning on working completely off a MacBook but I only had a HDMI connector and not a VGA connector. I could have pulled out my ThinkPad and moved on. What was great was the venue had a networked-desktop on the podium. 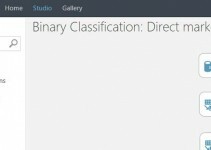 Logged in, pulled my slide deck from OneDrive and logged into Azure ML. The benefit of the cloud. I can walk into a venue and put on a presentation and not worry about hardware. With one open speaking slot for the cloud track we quickly created an ad-hoc Birds of a Feather session around machine learning and AI. Myself and another speaker lead a discussion on machine learning and AI. Again lots o great questions and hopefully a few attendees that can now start their own leaning on machine learning. Overall a pretty good Saturday conference. I will be looking forward for the springtime event.